Contact lens wearers who contract a potentially blinding infection could have their sight saved with the development of a revolutionary new eye drop. 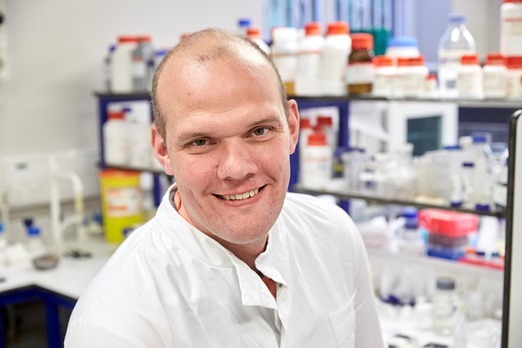 A £2.3 million world-first research project due to begin in August sees scientists at the NIHR Surgical Reconstruction and Microbiology Research Centre (SRMRC) join forces with experts from the University of Birmingham to create the treatment. Each year, bacterial infections cause around 6,000 cases of a severe eye condition known as microbial keratitis. The disease scars the cornea which leads to vision impairment and sometimes sight-loss. Contact lens wearers are at a higher risk because bacteria can get trapped in the lenses. The key ingredient of the innovative new eye drop will be a synthetic version of a protein molecule called Decorin, which is found naturally in small amounts in the body. It’s hoped that this ‘magic bullet’ will slow down the scarring process, allowing better regeneration and repair of the damaged tissues. If the anti-scarring eye drop is effective it will be developed for use in other patients whose sight is at risk and where scarring is problematic, for example following an eye injury or in those suffering from a detached retina. Professor Liam Grover, a biomaterials expert who is leading the project, said: “Decorin was originally identified by Professor Ann Logan as a potential scar treatment in the brain and eye and my job has been to take this fantastic discovery and find novel ways of delivering its benefits to patients. “Last year we successfully incorporated Decorin into a membrane wound dressing which is being trialled on burns patients. The current alternative is a corneal transplant where doctors remove all or part of a damaged cornea and replace it with healthy donor tissue. However, in many countries donated corneas are in short supply. Professor Grover added: “We will be immensely proud if our work means that patients can take an eye drop instead of having to undergo an invasive operation. The project has been funded by the MRC DPFS scheme and manufacture of the eye drop will begin in August. It is anticipated that Ms Saaeha Rauz, Clinical Senior Lecturer and Consultant Ophthalmologist, will lead the first patient trials that will take place in the New Year involving a unique collaboration with the Birmingham and Midland Eye Centre, Sandwell and West Birmingham Hospitals NHS Trust and the Queen Elizabeth Hospital Birmingham.